Aircon: What Plants Keep Your House Cool Naturally? During the warmer summer months, many people spend a good portion of their time indoors. However, the hot summer heat can make your stay indoors unbearable unless you have air conditioning to keep you cool. Instead of using your aircon unit more often, you can resort to more natural ways of keeping your house cool and cut down your energy costs. Other than being environmentally-friendly, plants offer you a cheaper and natural alternative to cool down temperatures in your home. 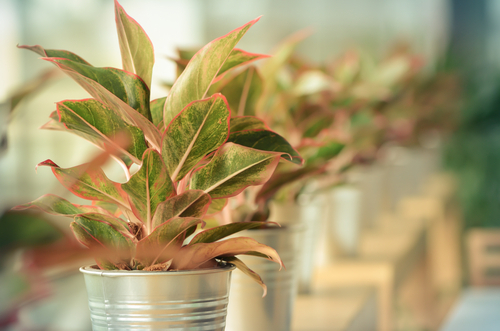 Indoor plants are the perfect solution for anyone seeking to enhance indoor air quality by keeping the house cooler during warm summer months. Even though plants help by enhancing the décor of a house, they are also known to eliminate dangerous toxins that may be present in the air while lowering ambient temperatures. Note that plants can effectively control humidity in your home to optimal levels suitable for human health. If you are seeking a natural and inexpensive way of keeping your home cool when the summer heat becomes unbearable, consider growing the plants below. Also commonly referred to as the Silver Vine or Devil’s Ivy, Golden Pothos easily outgrows its allotted space with multiplying stems and evergreen leaves. 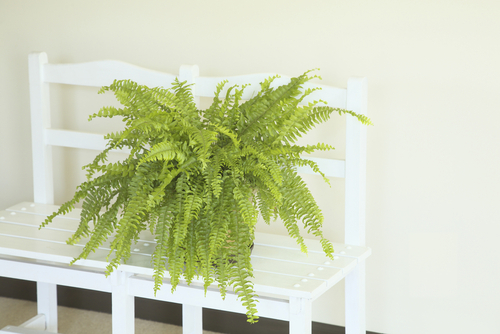 It is recommended as one of the best indoor plants because it improves air quality. If you would like to eliminate pollutants like benzene, formaldehyde, carbon monoxide and xylene from the atmosphere, then Golden Pothos is a clear winner. Unlike other plants, it only requires minimal watering in cold temperatures when exposed to partial sunshine. It is commonly used worldwide for treatment of burns. Even so, only few individuals know about its ability to lower ambient temperatures. This makes it perfect for shielding yourself from the unbearable summer temperatures of Singapore. Other than that, the plant can effectively eliminate formaldehyde that may be present in the atmosphere while improving the air quality of your home. To enjoy the benefits the plant has to offer make sure the soil is well drained and allow soil to dry between watering. This is a highly decorative indoor plant. Apart from being a natural humidifier, it additionally purifies air by getting rid of formaldehyde including numerous other toxins. In fact, Boston Fern is classified as being the best plant with air purifying abilities. The plant thrives in conditions of bright light and soil that is damp, although it can also flourish in poor light conditions or drought. Also known as Mother-In-Law’s Tongue, the Snake Plant is suitable for the bedroom. Even though most plants take in oxygen at nightfall, the Snake plant will often do the opposite. The plant releases oxygen at nightfall. As a result, you can breathe in the oxygen as it also maintains cooler temperatures inside your home. Other than that, the plant absorbs toxins like formaldehyde, nitrogen oxides, xylene, benzene, trichloroethylene and toluene. The plant is also preferred by many as the care procedure is not so demanding. Snake plant adapts well to low light conditions and minimal or irregular watering. Moreover, its requirements during winter periods are even less. To get the most in terms of oxygen output from the plant, grow at least 8 waist-high Snake plants in your home. This plant is also commonly referred to as the weeping fig. The plant can effectively eliminate toxins present in the atmosphere while leaving your home smelling and feeling fresh. The ficus tree also keeps your home cool as well. However, to get the most cooling benefits from the plant, remember to put in a location in your home that receives sufficient amounts of sunshine. So, locations near windows would be perfectly suited for the weeping fig. The plant additionally requires very minimal water to thrive. The Areca palm is among the most common plants in living rooms. Although it is widely used for decorative purposes, it serves really well as a cleanser of air. According to studies conducted by experts, the Areca Palm tree plays a critical role in boosting the humidity levels and cooling temperatures in the home. Apart from cooling temperatures indoors, the plant effectively eliminates toxins that include formaldehyde, trichloroethylene and benzene from the atmosphere. Choose Areca palm plants with thicker trunks around the base. The ones that have got less than an inch of diameter are very challenging to maintain. The Baby Rubber plant cleanses the air inside a home by producing high amounts of oxygen while removing toxins from the atmosphere. To enjoy the cooling effects of the plant, grow it in moist rich soil. Also, make sure the plant is kept in a location that experiences filtered sunlight. Like most of the plants on this list, the Baby Rubber plant can easily survive irregular watering. 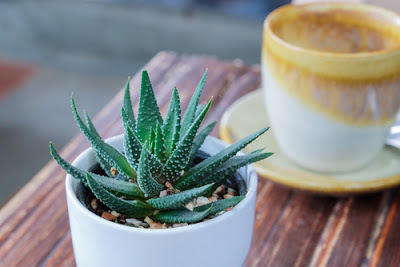 Other than the cooling effects of indoor plants commonly grown for their ability to keep the home environment cool, the plants also provide the following additional benefits as well. - Provide an enhanced interior image that gives oozes of sophistication. Research also indicates that interiors with plants grown in pots are often perceived as being more expensive compared to those with no plants. - The plants can help reduce stress, worry and depression. When you breathe in healthier cleansed air, the effect is a general feeling of good health and well-being. All the above additional benefits can greatly contribute good health and well-being. If you are finding it difficult to bear with the hot summer of Singapore, you can resort to growing indoor plants mentioned above to enjoy a cool home environment. Indoor plants with cooling effect lower the temperatures inside your house in a natural way, thus enabling you to enjoy a cooler environment even as you cut down on your energy costs. By growing these plants, you will only use your air conditioning system few times. So, consider having these plants in your home to get the most benefits from their cooling effects more naturally.